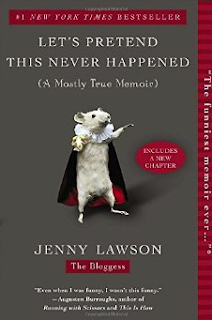 Our November book club book was Let's Pretend This Never Happened by Jenny Lawson. As you can imagine, everyone in our book club was extremely busy through the holidays so we decided to push the discussions back. We discussed this book over dinner the other night and had a few discussion points but the common question: how is her husband still with her?! Jenny Lawson seems so mean to him! 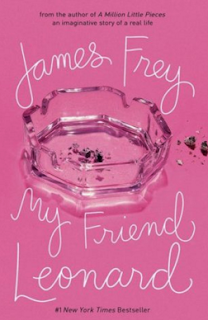 Our discussion of My Friend Leonard, by James Frey, is next week. For now, I thought I'd give my input on Let's Pretend This Never Happened. Let me start by saying I'm a type A (if you haven't noticed already). I like books like I like my friends and co.workers-straight forward. The first chapter of this book provides very strong proof that the author, Jenny Lawson, has some serious ADD. She goes on and on and then says 'oh just kidding' or throws in the word 'snausages.' 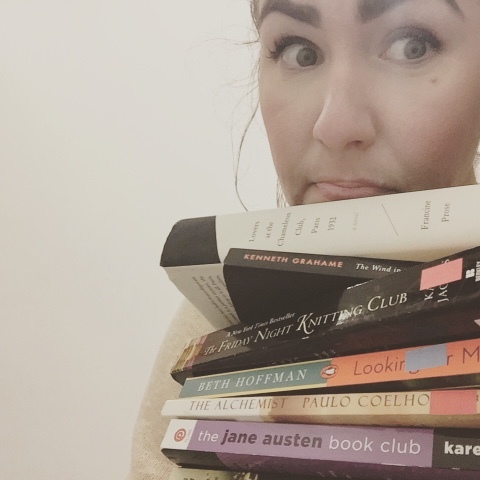 She even says to the reader that if we're reading this for book club, we can stop reading at the word 'snasuage' because that's what the whole book is about. Honestly, I wish I had stopped reading after 'snausages' and no it's not what the whole book was about but it may has well have been. I finished the book out of commitment to the book club but I have never struggled with a book more than I did with this one. I kept wanting to punch her publisher in the face and then ask them as they lay bleeding on the floor, "WHY IN THE HELL WOULD YOU PUBLISH THIS NONSENSE?!" I now believe that Louis could get a book deal. After the violent thoughts subsided, I wanted to sit down Jenny herself and ask her, "what makes you think people care about your life or want to waste their time reading five paragraphs (or sometimes five pages) just to have you say 'oh just kidding' or 'oh not really'?!" Perhaps I read this book when I was too stressed to enjoy it or maybe it just wasn't for me but I have a very strong inkling that this book would be very difficult for anybody to enjoy if they value their time. IF Jenny Lawson gets another book deal, let's hope that she takes her meds and some notes on Hemingway. Short and sweet, lady. Short and sweet.